Tynemouth Decorators Ltd - Painter/Decorator, Plasterer based in North Shields, Tyne and Wear. Our Accreditations and memberships - CSCS Card Holders, Ukata Asbestos Awarness, CHAS and Constructionline Approved, PASMA and IPAF Trained, North Tyneside Apprentice award, Armed Forces Covenant Employer Recognition. 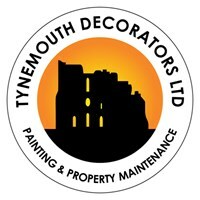 Tynemouth Decorators Ltd Provides A High-Quality Domestic Painting And Decorating Service Throughout Newcastle And The North East Of England. from its headquarters in North Shields, Tynemouth Decorators is well placed to serve the needs of all domestic customers - We recently acquired a mobile card reader from iZettle, enabling us to accept Credit & Debit cards as payment!.